Coaster Dining 1033 Collection. 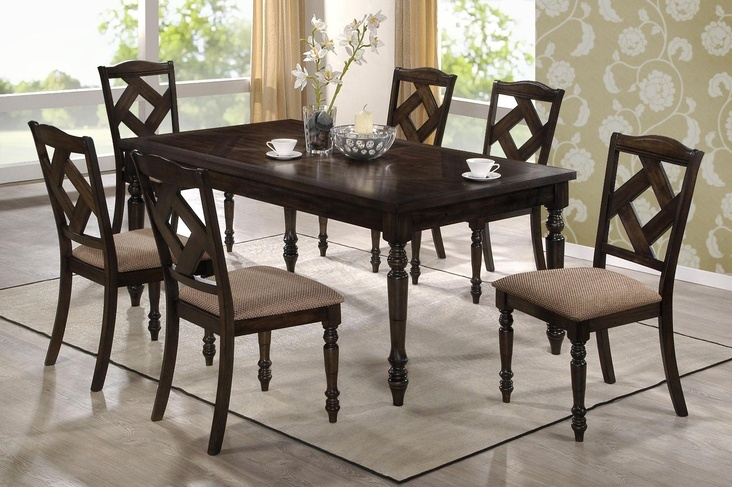 Refine your dining space with this traditionally styled dining set. Including upholstered dining chairs and a rectangular table, it has a classic look and feel without being overly ornate. Crafted with brown ash, it has rich brown tones for a comforting aura. Design features include fabric cushion seating and traditional turnings.